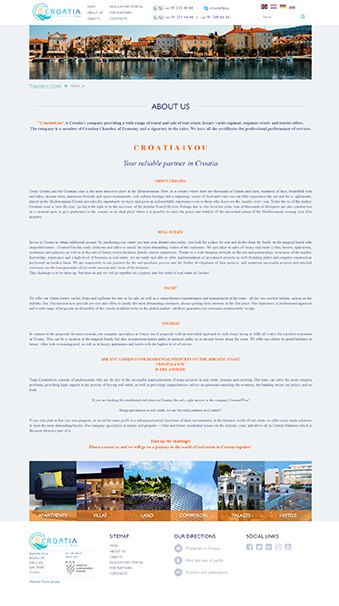 Croatia4you is a leading Croatian company providing a wide range of services for the rental and sale of real estate, luxury yacht segment, organizing ceremonial events and tourism. 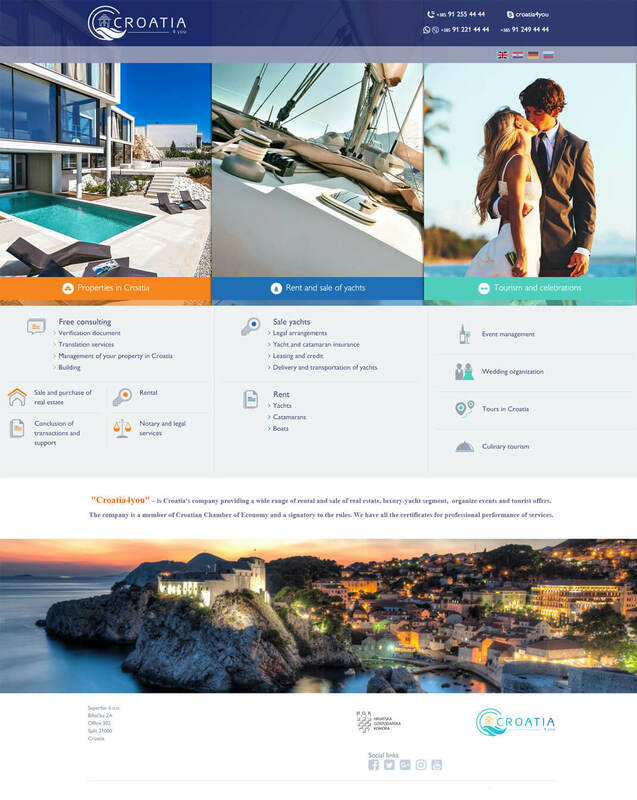 Create a multilingual resource for the sale and rental of real estate and yachts in Croatia, with a blog, news and descriptions of objects and services. 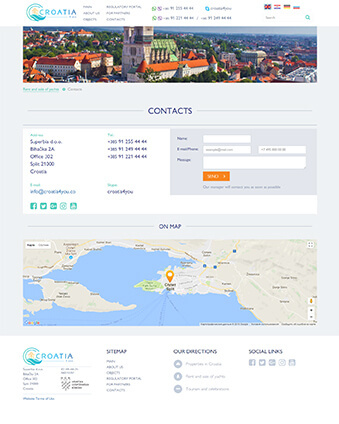 Split the resource into three separate main blocks according to the directions: real estate, yachts and services, and stick to the laconic European-style sites. 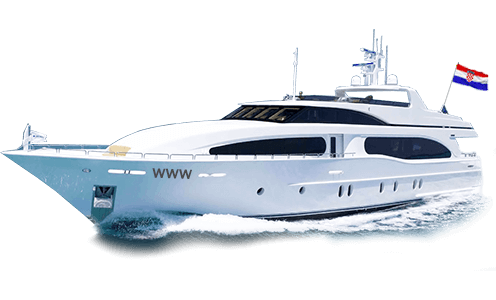 Large bright beautiful photos of beautiful nature, yachts and luxurious mansions eloquent than a thousand words. 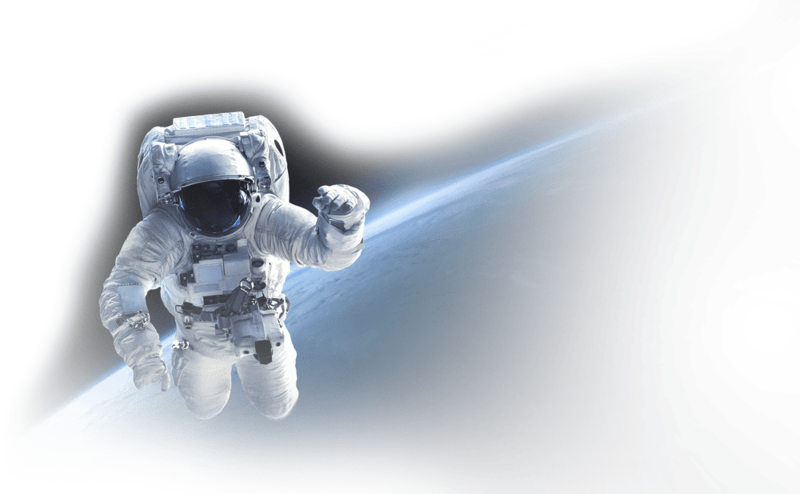 Therefore, the site focuses on a large number of images of objects of sale and services. Also, the opportunity to conveniently fill and change content in 4 languages. Getting on the site, an international client immediately sees three areas of the company's activities with a list of basic services, and immediately realizes what he lacks in life. 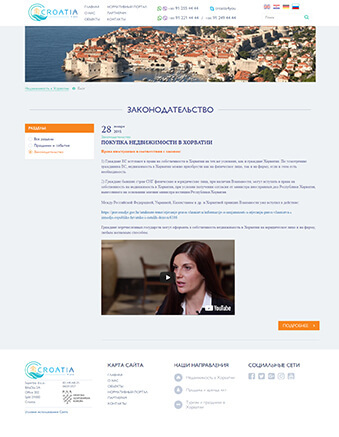 Each block leads to a separate thematic portal page. It is not enough for the target client to see just pictures, he needs to understand “how much?” and “how many?”. Therefore, catalog cards immediately provide the basic characteristics and price of the position. And of course, search by filters is the constant companion of a good catalog. As planned, the site is full of juicy enticing pictures. Going to the offer page, you can find a lot of photos of the object, all the information about it, and pick up a contact specialist who speaks the required language. VIP products generate VIP responsibility. 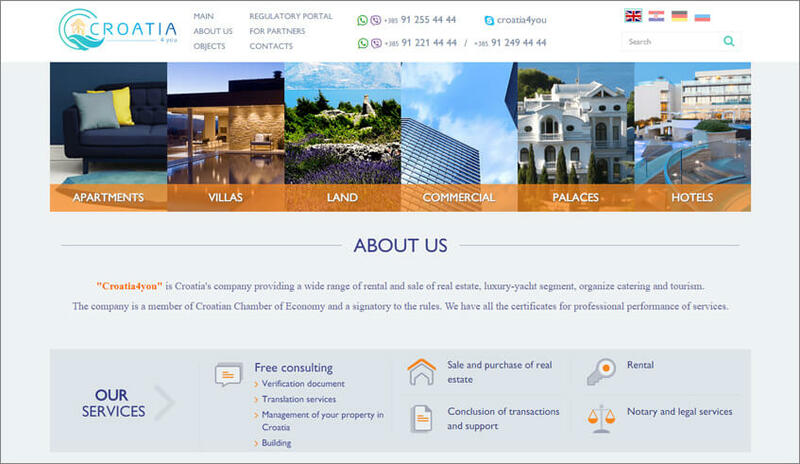 The site has all the necessary information pages on cooperation, legislation, contacts and other usefulness, helping to make the right choice in the direction of the company Croatia4you. The site looks equally good both on the desktop and on any mobile device.